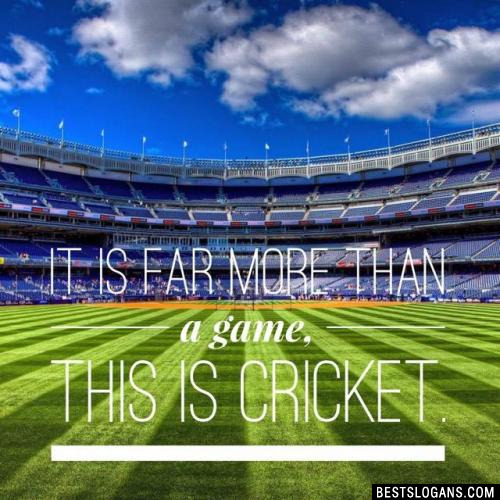 Best inspirational cricket team slogans & motto with some funny sayings. Win or lose, take equally. All's fair in love and cricket. 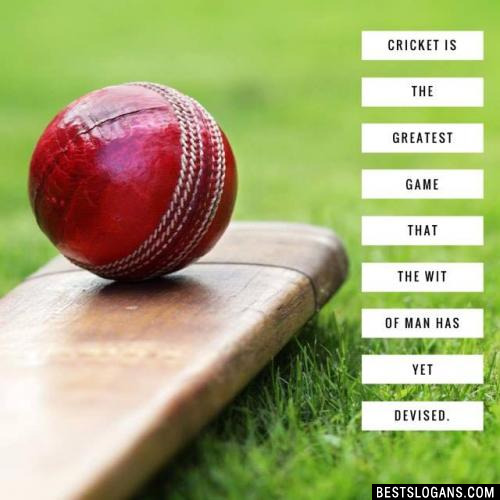 It is said that cricket originated in England. Since they used to raise sheep, the grass was so short that it was possible to roll a lump of wool on it which they used as a ball. See the facts below for more information about cricket. 1 Cricket is no excuse for ignorance. 3 Hail Cricket! glorious, manly, British game! First of all Sports! Be first alike in fame! 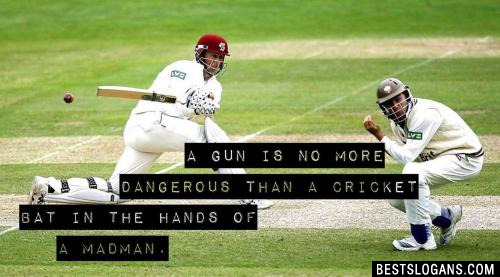 4 What is human life but a game of Cricket? 5 Things never turn out in Cricket as one expects. 6 Cricket as a passion is distinctly contagious. It is far more than a game, this is Cricket. 9 Endless cricket, like endless anything else, simply grinds you down. 10 Cricket is very simple... you play till you can sustain. 11 If you play good cricket, a lot of bad things get hidden. 12 Badminton is not as glamorous as cricket. 13 I always breathe cricket. 14 You can cut the tension with a cricket stump. 15 No cricket team in the world depends on one or two players. The team always plays to win. 16 If Cricket is religion Sachin is God. 17 CRICKET: Win or Lose, Take equally. 19 Annoying me about my cricket may be injurious to your health. 20 Born to play cricket. 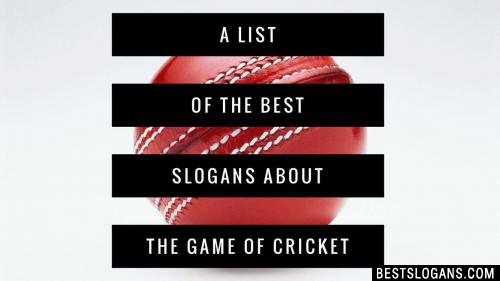 Can you think of a good Cricket Slogans we're missing? Or come up with a clever one of your own. Please share below.